Chetan Parkyn was a mechanical engineer in 1979 when he was introduced to the ashram of Osho, known at that time as Bhagwan Shree Rajneesh. (Chetan dedicates his book to him.) Osho directed Chetan to a “shadow reader” in Bombay (now Mumbai) where he had an extraordinary reading. Chetan was told to get ready to introduce thousands of people all over the world to a system that would greatly improve lives. He laughed at that but started to read hands and Tarot cards, and study astrology and the I Ching. It wasn’t until 1993 that Chetan saw a “curious-looking chart”, sent to him by someone in Taos, New Mexico, and knew what the man in India had been telling him about. 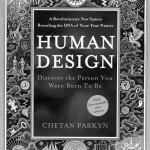 Chetan lived in Maui at the time and would go to workshops twice a year to learn more about Human Design from Ra Uru Hu, a Canadian formerly known as Alan Krakower. Chetan says Human Design is “a tool to allow you to totally accept who you are.” He now devotes his life to sharing the system with others. Ra Uru Hu didn’t have a strong spiritual background Chetan says, and yet while on the island of Ibiza, Ra was “forced to download the information” that became Human Design. He heard a voice that insisted he get to work which Ra did for eight days and nights to write and sketch the revolutionary system that reveals personality blueprints of who we were born to be. 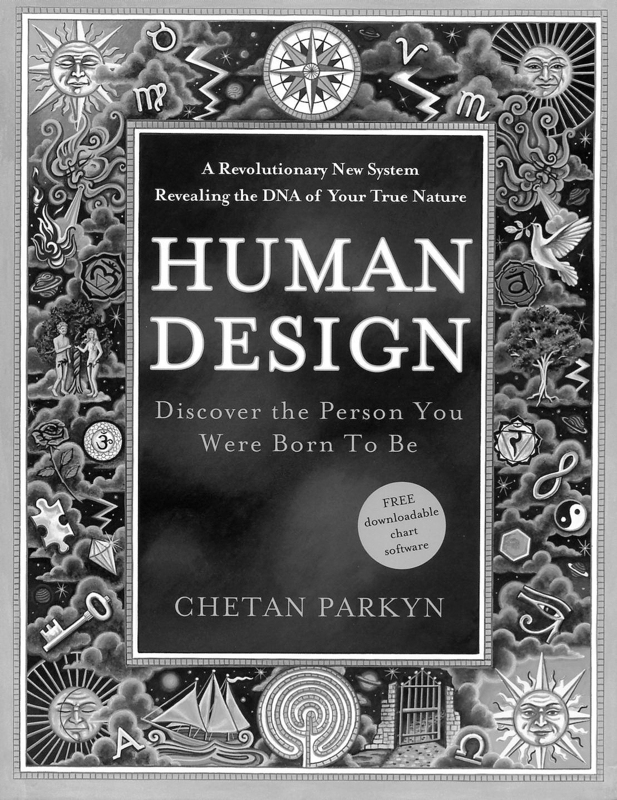 Chetan describes this amazing story in the very inviting introduction to Human Design. Originally from Shropshire, England, Chetan lives in San Diego, California where he was when I spoke to him on the telephone. He calls Human Design a “twenty-first century self-remembering tool.” That description certainly resonates with me as all the writing I do on my own and with others is precisely that: a remembering of who we are. Human Design draws from four ancient wisdom traditions: astrology, the chakra system, the I Ching, and the Kabbalah. “It is a system which takes the torch from the hand of astrology and caries it to the next level, providing a self-assessment device and an accurate guide for life,” says Chetan. His wife Carola has been a spiritual astrologer for 25 years and now includes Human Design in her counseling practice. You can download the free PC software too from www.HumanDesignForUsAll.com. By entering your place, date and time of birth you’ll have your own Human Design chart that will illustrate and list your Individual Design Keynotes. All of what you see is related to the book where you can read all about yourself. “The three keys that unlock the secrets within,” Chetan says, are your Type, Authority and Profile. Your Type is your natural state of being at the innermost level. Your Authority provides a strategy that steers you towards the most effective decision-making process for your individual design. Your Profile number is a portrait of how you interact with life and other people. Mine is the 2/4 Profile which means I like my own sanctuary and hate being interrupted while focusing on something. That describes me accurately! Your chart will also list your Defined Channels and show them in colour. Human Design also describes the deeper layers and finer points of your character which can be explored through the nine Centres (energy centres which may or may not be filled in with colour on your chart); thirty-six Channels inspired by the ancient wisdom of the Kabbalah, and sixty-four Gates, inspired by the sixty-four hexagrams of the I Ching. The Heart, one of the Centres on my chart, is “defined,” which apparently is statistically rare. A few of the charts of famous people Chetan included in the book have defined heart centres as well: Diana, Princess of Wales, David Beckham; and Jennifer Aniston. The book is very clearly written so while this may all sound a bit confusing, it’s all very straightforward once you get going. Your only challenge will be that in your excitement you may stay up very late reading as I did. You’re bound to have many “aha” moments and chuckles when you read an accurate description of yourself and who you are meant to be. You can go beyond your own chart by reading your children’s charts so you can help them explore their own abilities. You can also study the charts of your partner, family members and friends to have a better understanding of how to relate to them. 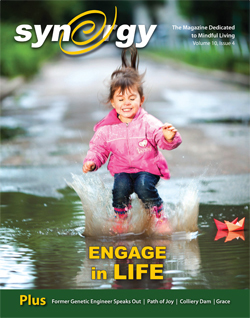 This entry was posted on Thursday, April 7th, 2011 at 8:39 am	and is filed under MINDFUL LIVING. You can follow any responses to this entry through the RSS 2.0 feed. You can leave a response, or trackback from your own site.